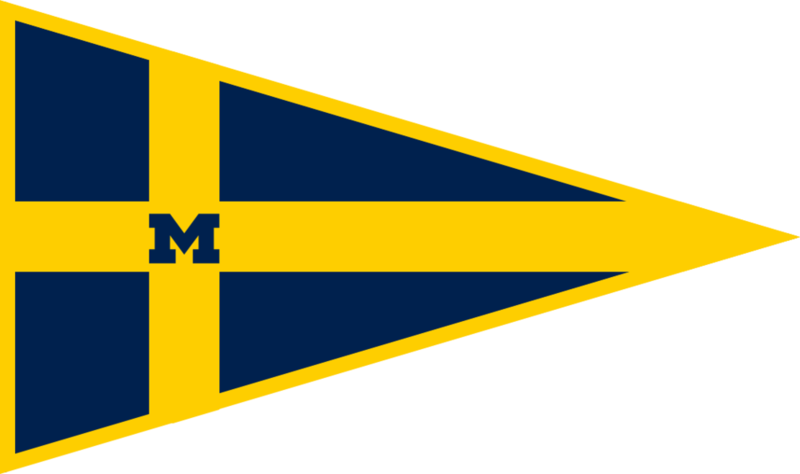 The week of February 24, 2018, the Michigan Sailing Team traveled to St. Petersburg, Florida for spring training. The first weekend was spent at the University of South Florida for the Mendelblatt Team Race Regatta. Eight sailors competed against teams from across the country to develop team racing skills. The following week, the team spent eight hours a day sailing at Eckerd College to train for the season ahead. The first few days of training included intense boat handling and crew development practice. Our coach, Sean Ross, created a regimented practice schedule and emphasized skills necessary to make our team as competitive as possible. Members new to the team were able to learn to sail, while experienced sailors honed in on boat handling skills that needed improvement. Throughout the week, we fleet and team raced against the Eckerd Sailing Team. Also, we had the opportunity to send sailors to the University of South Florida to further practice team racing. Training with Eckerd and USF was a great opportunity to learn from and race against other great sailors. Our team members were able to learn new tactics, improve starts, and compare boat speed. Every night, the team went back to a beach house on St. Pete Beach to cook dinner and relax with team mates. Being a block away from the beach, we would watch the sunset as a team and spend time by the ocean. Overall, the team had a very productive trip, as we vastly improved our sailing skills and had a ton of fun together!